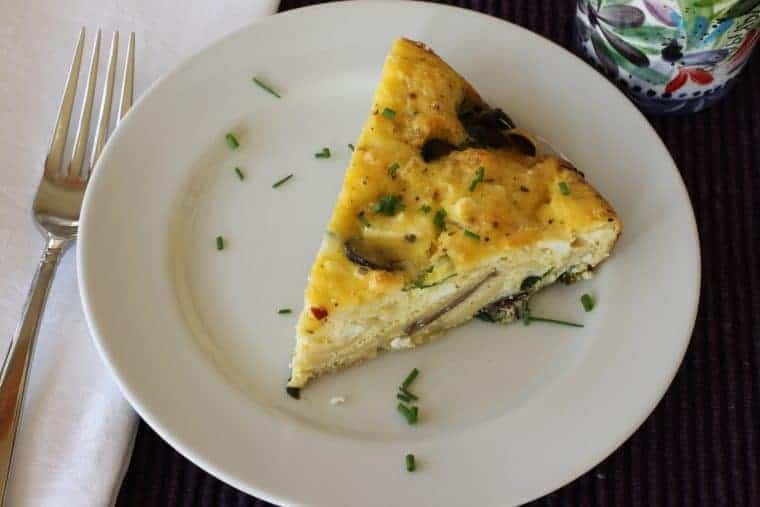 Mushroom Spinach Frittata is a go-to for breakfast, lunch or dinner. 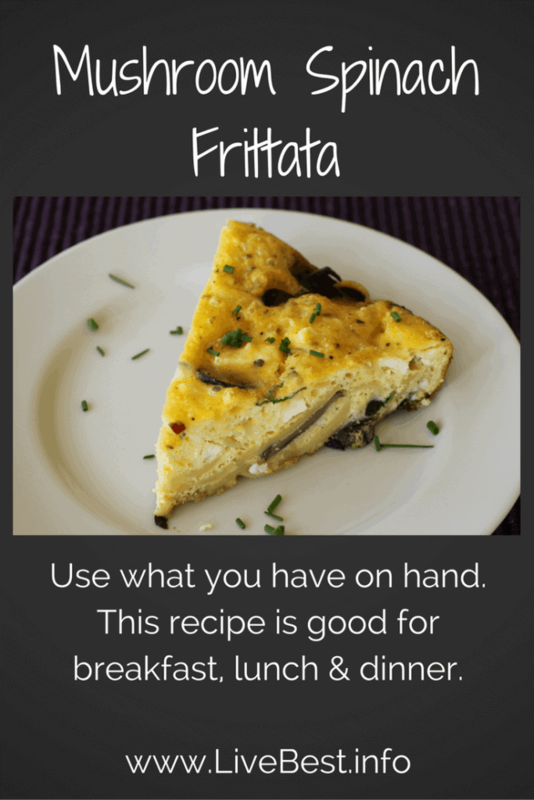 Use what you have on hand for this frittata recipe. The ins and outs of eggs. One year eggs are in. One year eggs are out. They’re in now and for good reason. For the money, these little packages are nutrient-packed. At less than twenty cents each, you get protein, minerals and vitamins all for just 70 calories. Yes, they have fat and cholesterol, but that’s no reason to ignore them. The recommended limit for cholesterol containing foods is 300 milligrams and large eggs have about 185. So for most of us, an egg day is part of a healthy diet. Hens are busy little bees, laying an egg about every 25 hours. It’s the breed of the chicken that determines the shell color. Typically brown chickens lay brown eggs and white chickens lay white one. The brown chickens tend to be larger birds, requiring more feed, so brown eggs cost more than white eggs. Brown or white, the nutrition is the same. The appearance of eggs may sometimes be related to food safety, but not usually. Variation in egg color is due to many factors. A blood spot on the yolk indicates that a small blood vessel broke during egg formation. No concern for eating it. Cloudy egg white? Means the egg is extremely fresh. Green ring on hard-cooked egg? It’s been overcooked and the sulfur and iron compounds have reacted. It’s OK to eat. Black or green spots inside the egg? Bacterial or fungal contamination. Not OK to eat the egg. Off-color white? Indicates bacterial spoilage. Not OK to eat the egg. You’ve probably been there. Frustrated as you pick shell bits from the egg and not getting the results you want – a smooth egg. According to the incredible edible egg people, very fresh eggs can be difficult to peel. 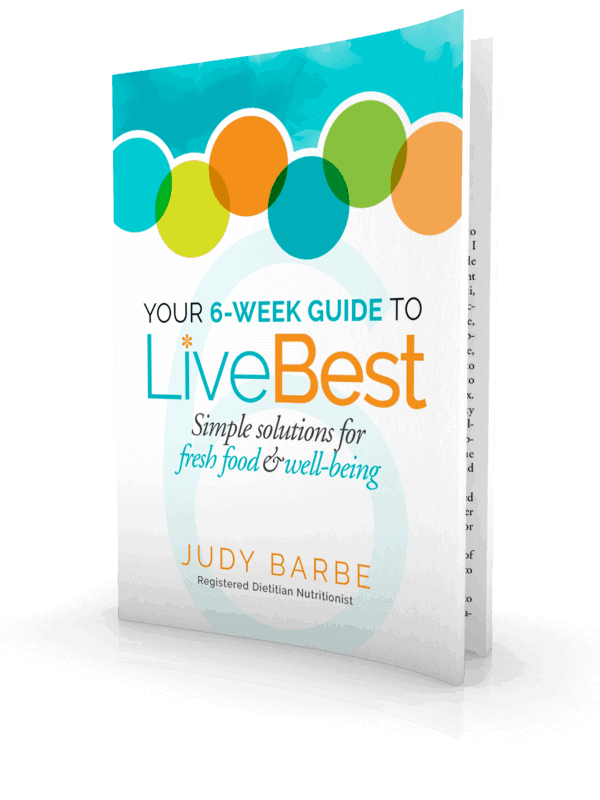 To ensure an easier peel, buy and refrigerate eggs a week to 10 days in advance of cooking. This brief “breather” allows the eggs time to take in air, which helps separate the membranes from the shell. Hard-cooked eggs are easiest to peel right after cooling. Cooling causes the egg to contract slightly in the shell. I’ve found an Instant Pot is the best way to hard cook an egg. The shell slips off easily with no pesky egg white attached! To avoid that green ring and you don’t have an Instant Pot, Place eggs in saucepan; cover with water. Bring to a boil over medium heat. Remove pan from heat; cover pan with lid. Allow to sit off the heat for 12 minutes at low altitude and 19 minutes at high altitude. Cool immediately by draining hot water and adding fresh cool water. When it’s time to peel the egg. Gently tap it on countertop until shell is finely crackled all over. Roll the egg between your hands to loosen the shell. Start peeling at the large end, holding the egg under cold running water to help ease the shell off. Once cooked, in the shell, eggs can be refrigerated safely up to one week. 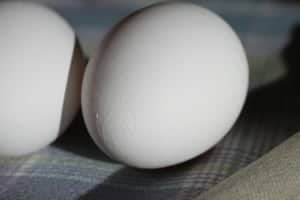 Once peeled, eggs should be eaten within a couple of days. Fresh eggs in the shell can be kept for 3-5 weeks in the refrigerator. Mix eggs with leftover meatloaf for a egg muffin cup. Blend with yogurt for a creamy tart. Make curried egg salad with raisins or dried cranberries. Or chopped Kalamata olives, tuna and chopped green beans. Or replace the mustard with Sirarcha sauce with chopped green onions. But I also like a frittata. 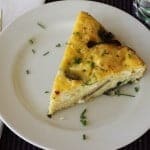 A frittata is similar to a large omelet except that the ingredients are mixed with eggs. This recipe takes eggs to breakfast, lunch and dinner because you can serve it at any meal. It’s very flexible. You can use asparagus instead of spinach or any other vegetables you have available, vary the cheeses, or use fresh or dried herbs in this meatless meal. Mushroom Spinach Frittata is a go-to for breakfast, lunch or dinner. So versatile, use ingredients you have on hand for this meatless meal. Melt half the butter and half the oil in a 10-inch ovenproof skillet over medium-low heat. Add mushrooms and sauté until soft, about 10 minutes. Sprinkle in thyme. Remove from heat. Set aside. Return empty pan to heat; add remaining butter and oil. Cook potatoes until cooked through, turning often, about 10 to 15 minutes. Add spinach, cook until wilted, about 3 minutes. Return mushrooms to pan. Meanwhile, whisk the eggs, then stir in the ricotta, Swiss, Parmesan, salt, pepper, and basil. Sprinkle on the flour and baking powder and stir into the egg mixture. Pour the egg mixture over the vegetables and place the pan in the center of the oven. Bake the frittata until it is browned and puffed, 40-45 minutes. 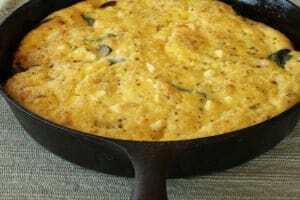 It will be rounded and firm in the middle and a knife inserted in the frittata should come out clean.